Gone are the days when most people kept their life savings under their mattress. Almost everyone now has a bank account. 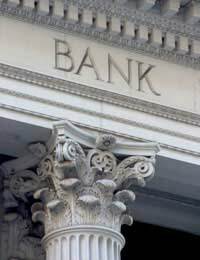 There can be so many different banks to choose from as well as all sorts of different accounts. Many people are slightly distrustful of banks but as well as taking your money, they can also do a lot to help you and makes sense to take advantage of what they have to offer. It is in the bank’s interest to offer you advice and guidance about what you should do with your money. They want to keep you as a customer and keep you happy with their services. This is particularly true if you are thinking about starting a business. Most banks have business advisors who can guide you through the process. Make an appointment to sit down and talk with someone about your circumstances and find out what is best for you. When you open a bank account you are often presented with many different levels of account. The most basic will be free while other you will have to pay monthly charges on. Although you may be tempted to go for the free one, it is worth considering any upgrades. These accounts will offer benefits such as travel and mobile phone insurance and can often work out cheaper than if you were paying for them separately. Your money can earn a lot more for you than it probably does in your current account. Getting your bank to explain all your different savings options can help you manage your money better. Whether it is taking advantage of your tax free allowance in an ISA or saving your pennies in a ‘save the change’ scheme, find out how to make the most of your money. It may also be helpful to open extra accounts to compartmentalise your money. There are many reasons why you might need an extra bit of money. Whether it is a loan for a car or home improvement. Or just a bit of a buffer to tie you over until you get paid, work with your bank to find an option that suits you. If you agree it with your bank then you can usually have an overdraft and won’t be charged any fee each time you run into it. Also, if you are struggling to pay of your loan, discuss a payment plan with them. It is in their interest to get the money off you and you may be surprised how willing they are to be flexible. Banks don’t need to be the enemy, they can actually help you make more of your money. It is their interest to keep you happy and as a customer. Talk to them and find out what advice and guidance they can offer you. Whether it is upgrading your account to take advantage of the benefits, finding a good saving plan or taking on a loan or overdraft, look in detail about what is available to you.